Aaliya was happy knowing that Abhi was getting attracted to Tanu and smiled that her plan was working excellent. She thought when Pragya would see them; she would get jealous for sure and thought it would be fun to see her. Pragya went to the office in the morning and arranged Abhi’s office and was waiting for him to come. Saira said that whole music team was waiting for Abhi to come but did not know why he got so late. Aaliya called Saira and asked her to send Pragya with a CD in the nearby building. She smirked that Pragya would get fumed seeing Abhi and Tanu together. Pragya got happy as she thought she would get to meet Abhi there. Abhi was staring at Tanu continuously. Aaliya said that Tanu did not talk much to anyone, but Abhi said that all girls were after him. Aaliya stated that Tanu was different and did not like publicity and attention much. Aaliya bet that she would not talk to him. Abhi accepted the challenge. Pragya too came there. Aaliya then called Tanu and acted like meeting her after a long time. She then introduced her to Abhi. Pragya came to Abhi and gave him the lyrics. Abhi ignored her and started at Tanu. Pragya was shocked. Aaliya came to her and said that she could never dream of being with Abhi again. She stated that he was getting close to Tanu and not her. She said that she would be ruined as Abhi would be with Tanu always and would enjoy and go on holidays with her. She stated that Abhi had written Tanu’s name on his heart and would never remember her memories at all. Pragya was sad and felt shattered. 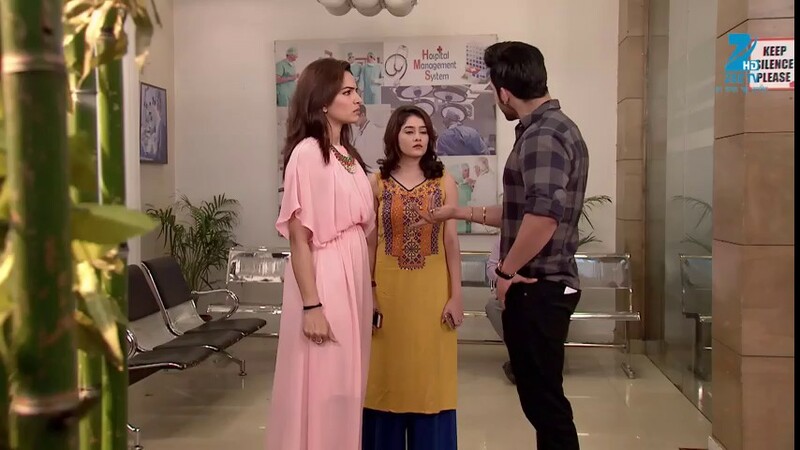 Pragya thought that Abhi was getting trapped in Aaliya and Tanu’s plan again, but she had to do something to stop that. She thought a way to remind him of their marriage and love life. Abhi felt Tanu had a lot attitude. So when Aaliya asked him if he liked her, he denied. Aaliya said that it was just a first meeting and stated that he would arrange a coffee date of him with her. Abhi agreed. Abhi saw Pragya sitting there. He went to her and asked why she was sad. She said that she came there to give him lyrics paper, but he was too busy with model Tanu and did not even look at her that she was waiting for him. He went close to her and said that he was sorry and asked Pragya to smile.